A free update for Prey is live, tonight. The update, which will be available for all players, will appear the next time you open the game and feature a new story mode as well as an intense survival mode. There’s also the long-awaited New Game Plus. On top of that, a £12.99 standalone story DLC named Mooncrash is now available on Steam. It’s set on a moon station the size and scope of four levels from the original game, where the returning Typhon threat brings unique (and uniquely horrifying) enemy types. Arkane describe Mooncrash as ‘rogue-like’, since it’s designed to be “infinitely replayable”. There are hundreds of possible ways to escape the base, and three player characters to do it with – the engineer Joan, security officer Bhatia, or psychic Andrius. Wrench, shotgun, or mind magic are your key choices there. If you buy Mooncrash, you’ll also get access to new Prey DLC later this summer – Typhon Hunter will essentially be a prop-hunt mode, as five players disguised as mimics get to take on one human player character. Prey will also get a VR mode, as Bethesda continues to expand its catalogue into virtual reality. Prey is over a year old and it seemed mad that we still haven’t had any major content releases for the detailed sci-fi immersive sim. 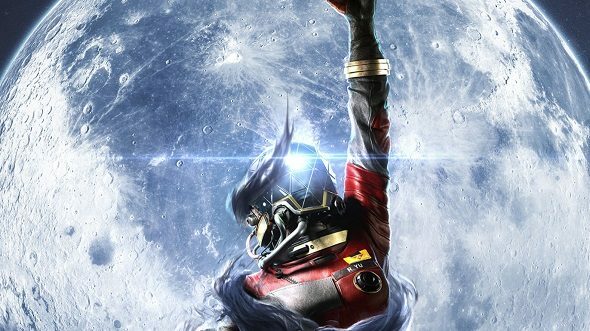 The official Prey social accounts have been making plenty of mentions of the moon, leading many to guess that moon-themed DLC was inevitable.